Discussion in 'Pin Zaps & Swaps' started by summerskin, Aug 31, 2018. Booger1964, Papaya, arielsdinglehopper and 1 other person like this. How lovely! Bruce is the best. Congrats on your first zap! Yay! That is so exciting! Fancy!! Congrats on your first zap! Congrats, that's so sweet! And btw, I absolutely love your profile pic. Great pin! 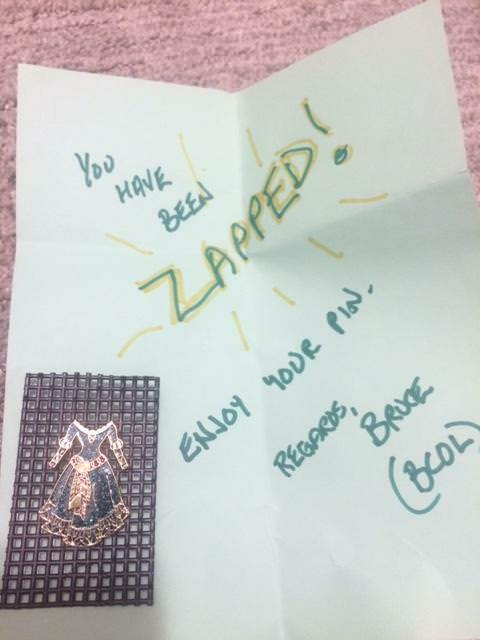 Congrats on your first zap!